What’s you favorite color? why? What do you think about wearing bright colors? Does advertising influence what people buy? Do you buy what your friends recommend? Describe an occasion that you borrowed something from others. Do people borrow things from friends? what do they generally borrow? As more follow up questions are sourced they will be updated here. Writing task topic march 12th IELTS academic test. Average life expectancy is increasing. Will this cause problems for individuals and society? Suggest some measures that could be taken to reduce the impact of ageing populations. IELTS – beginner’s guide to understanding the IELTS test is to help you get a good idea of what it is and how does it happen. IELTS – International English Language testing system is a test that is taken mainly for two purposes among others. Mainly to apply for immigration to Canada, Australia, New Zealand and other countries or to study at a university. 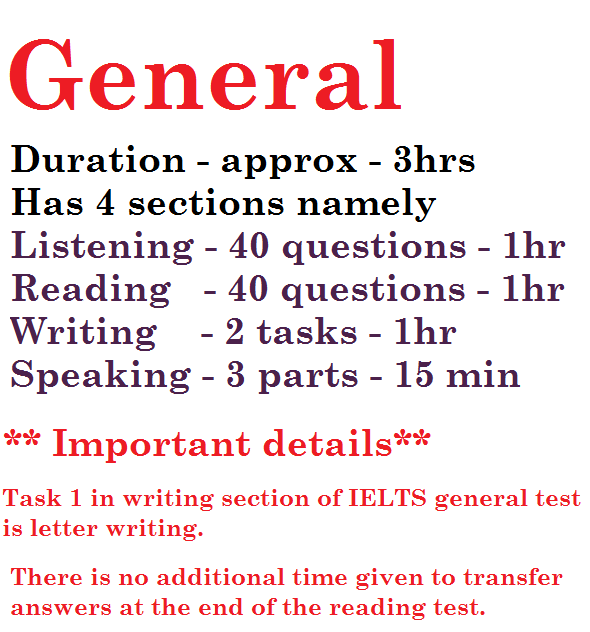 IELTS tests are of two types – Academic and General. Academic test is required for higher education while the general test is taken by immigrants. Listening section – A question booklet containing the questions is given to the candidates. All answers have to written in this this booklet. At the end of the IELTS listening test, answers can be transferred to the answer sheet. Reading section – Three separate passages are given, each one could be up to 2 pages. All the three reading passages must be read and relating questions must be answered within one hour. It is important to note that answers can be write on the answer sheet directly. In the general test, task one is letter writing in 150 words. Both academic and general tests have essay writing in task 2. A 250 word essay is to be written in about 40 words. Speaking section – It is an interview with an examiner lasting about 15 minutes. It has three parts. Part one could have over 10 questions on familiar or general subjects. In part two a topic is given, the candidate can think about this topic for a minute and then speak for about a minute and a half. Part three consists of follow up questions based on part two. 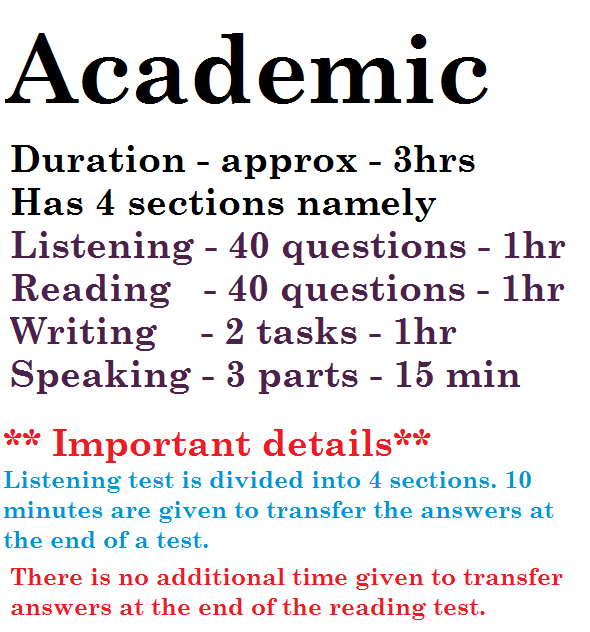 Listening and reading sections are common to both academic and general tests. Writing and reading are a bit different. Writing in the general test includes writing a letter. 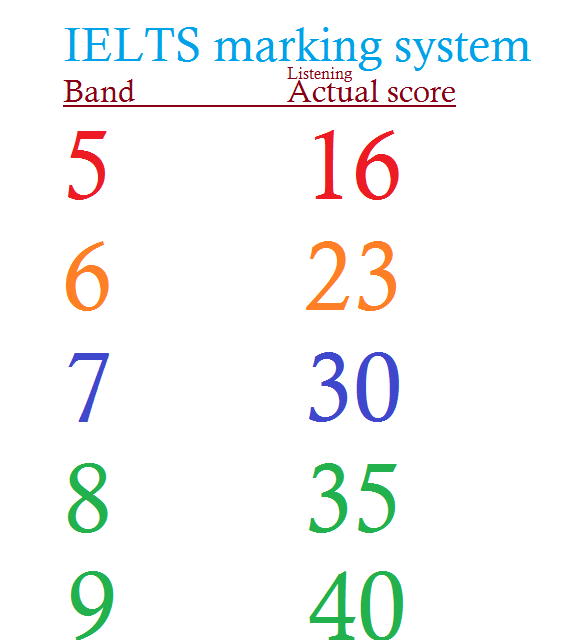 IELTS score is called band. The maximum possible score is a Band 9. Each of the 4 sections get an individual score out of 9. An average of all the 4 sections is taken to arrive at a overall score. 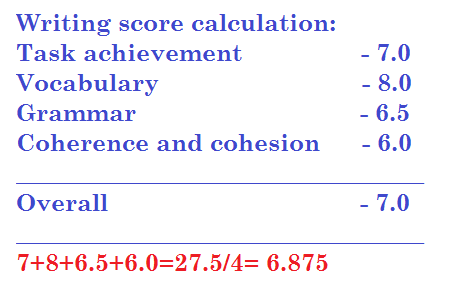 calculating IELTS overall band score. Find out how individual band score is calculated. How many answers need to be correct to get a particular band? How do they get the writing score? How is the speaking score calculated? To calculate the speaking score, grammar, vocabulary, pronunciation, fluency and coherence are taken into consideration. Each of these components of speaking test are given a band, then it is averaged and rounded off to the nearest 0.5. The speaking test is recorded and examined by examiners. How are the listening and reading scores calculated? How are IELTS answers scored? IELTS scoring system – How is IELTS marked? IELTS test has 4 modules and each module is scored differently. There is an overall score or Band and an individual score for each module. Usually academic institutions require a certain band in each module and an overall band score too. The overall score is simply an average of all the individual module scores. Individual modules have different Band score that are given to the actual score. There are 40 questions in the listening module. If all the answers are correct the candidate gets 9 band. The listening section has 40 questions that need to be answered. 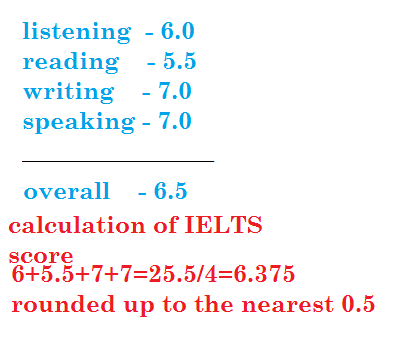 The pictures show how the score is converted to the IELTS Band in listening which is common to both Academic and General IELTS tests. The writing and speaking modules have different parameters that are calculated to get a score. 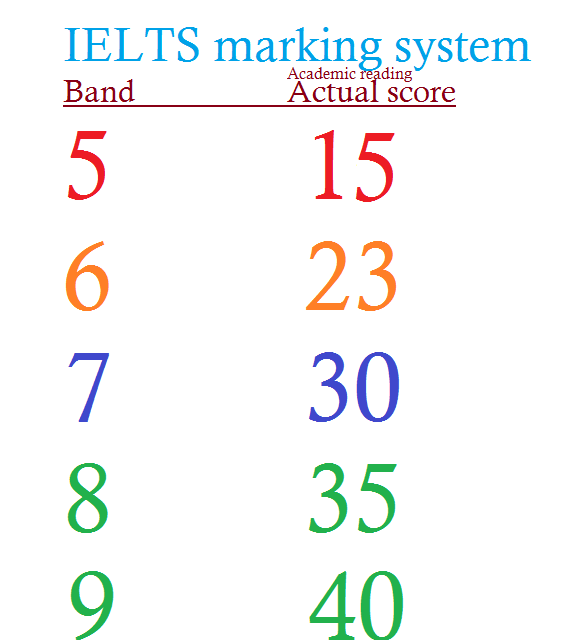 How is the IELTS task 1 marked – Band scale explained. 1. Task Achievement – What is Task achievement? It is to measure how much of the question was answered properly. This term is used for marking the IELTS writing task 1. 2. Coherence and Cohesion – the clarity, progression and relevance of the answers are measured to arrive at a particular Band score. 3. Lexical resources – This is fancy term which means usage of vocabulary. It measures the range of words used and how natural was the usage of different words. 4. Grammatical range and accuracy – The usage of different grammar structures including, various descriptors and tenses are carefully checked. The score is given by examiners and they usually follow some internal specific guidelines to score. Writing task 2 has the same parameters except the first one. It’s termed Task responses. It refers to how well developed is the essay, has it clearly stated the position or opinions.